Palm oil news - Should Palm Oil Plantation Implement Mechanism? 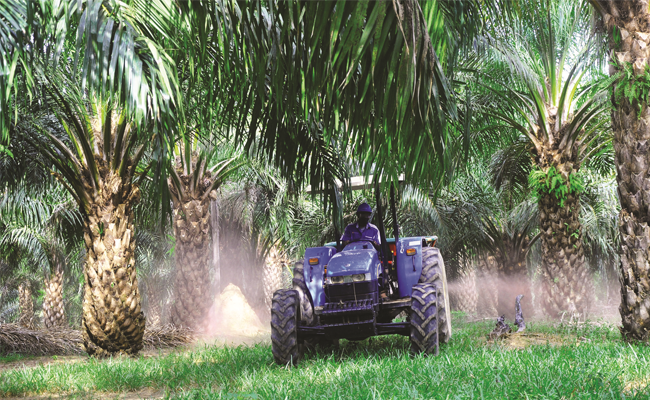 Should Palm Oil Plantation Implement Mechanism? InfoSAWIT, JAKARTA - Mechanism is unavoidable in this era. In addition, the mechanism cultivation hardly becomes the main condern in plantation sector in a whole. The increasing salary for the workers and the ways to increase the productivity so that the planters remaining competitive become the factors to implement mechanism. The productivity could become a curse as the big examples and the income of the workers may influence them to work n palm oil plantation. They may be not interest in working in palm oil plantation where it is in remote areas to earn their living.